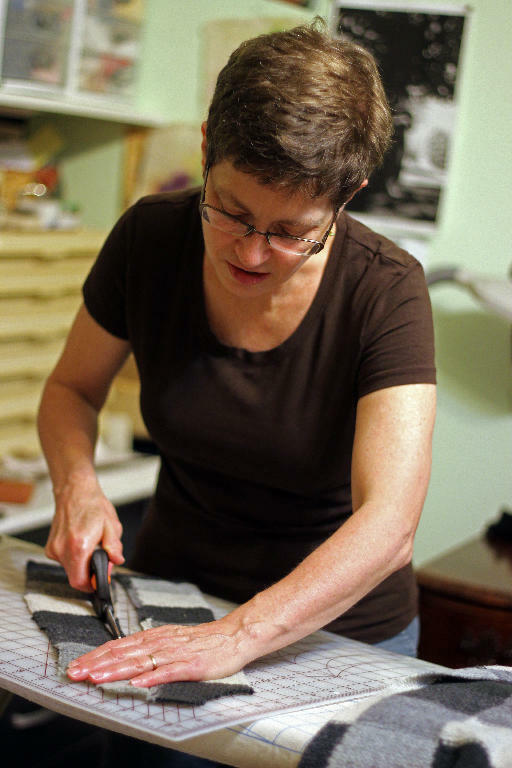 ← October Featured Artist; Lisa Hepburn Ceramics & Gallery Night! 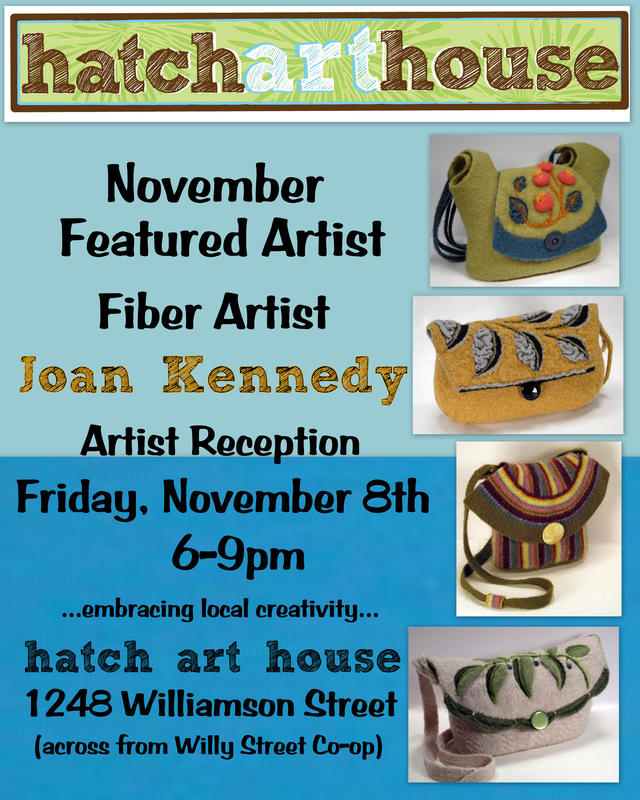 The November featured artist is fiber and handbag artist, Joan Kennedy. Joan’s handbag shapes and motifs have traditionally been inspired by nature but recently, she’s been exploring shapes within the urban landscape. Joan is also incorporating industrial metal pieces into her work which balance out the upcycled wool she uses. Her work is part of the ancient tradition of creating beautiful but functional objects essential to daily life. Joan’s work will be showcased November 1-30th with an artist reception Friday, November 8th from 6-9pm. Refreshments will be served. Joan at work creating a new handbag.